Golf swing analysers are big business, but a new golf app is leveraging Android Wear and the Gear S2 to improve your swing. 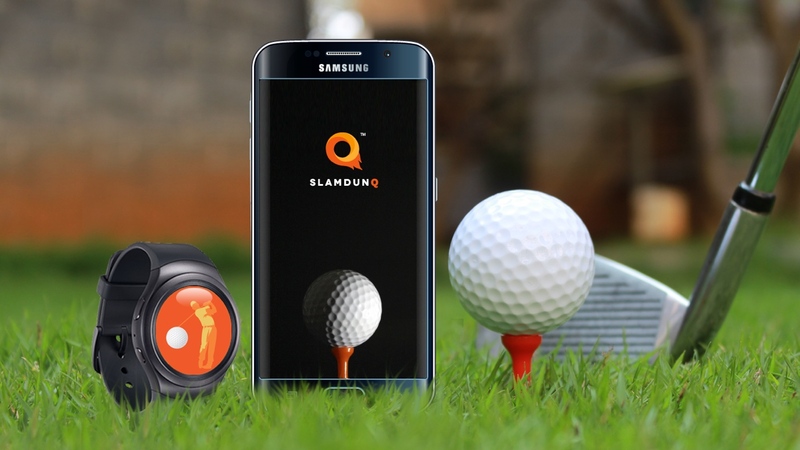 SlamDunq uses your smartwatch's sensors to measure metrics on swing speed, swing tempo, club head angle and plane angle, which are displayed in the partner app. Much like Zepp, you get a score based on your swing with tips on improving elements of your game. The company has already had some success with a cricket app, which works on your bowling technique, all from the wrist. For golf, SlamDunq seems to have a lot of the most important metrics covered, and we're glad to see club head angle amongst the list of captured metrics, given our recent attempts to cure a slice. However, there are concerns. Smartwatch sensors struggle with the accuracy and depth of data required for golf, which is a game of extreme precision. What's more, if you can figure out what's wrong with a player's swing, fixing it is much more difficult. Zepp has an army of golf professionals to provide video drills within the app, and Hole19 enables you to actually send your videos and data off to a real-life coach to peruse, for a small fee. Without testing it's hard to say whether SlamDunq has overcome these difficulties, but it's great to see apps starting to leverage smartwatches to do the work of specialist wearables.